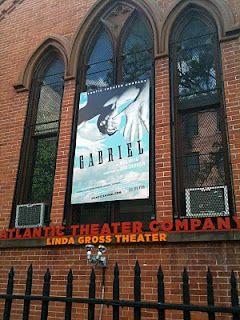 Tonight Gabriel by Moira Buffini opens at the Atlantic Theater Company! This is the third show of my Stage Management Fellowship. No cookies today (I save them for closing, remember!) but it's sure to be a fun night! "Gabriel is set around a largely forgotten moment in British history — the German occupation of the Channel Islands during World War II. A naked young man washes up on a Guernsey beach. Unnervingly handsome and fluent in both German and English, he has no recollection of who he is — patriot or Nazi…innocent or madman. 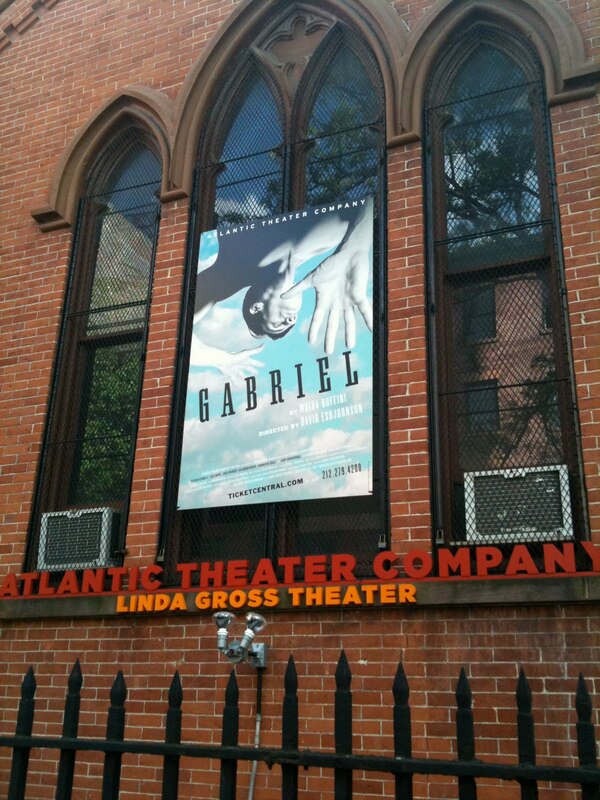 Gabriel explores the heart of memory, identity and imagination, as well as the lies people tell themselves and each other to make the darkness light again." UPDATE: The Reviews are In! Welcome to Curtain Up Cookie Design!